Basic copper carbonate. 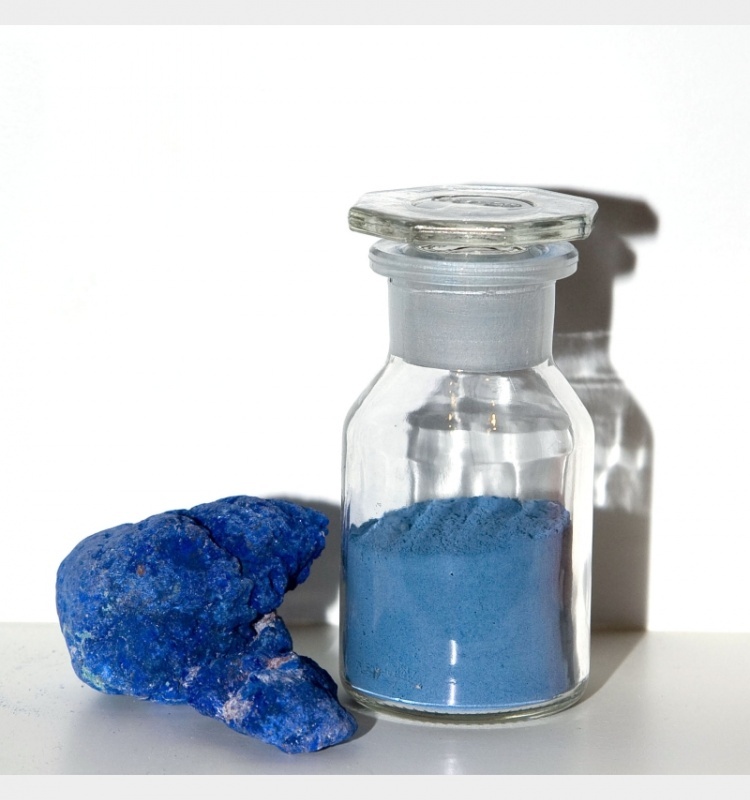 The pigment, also known as German blue, was in use from the Middle Ages until the seventeenth century. It is incompatible with fresco because it transforms into green atacamite. Often applied over a more opaque layer of black, red, grey or blue.